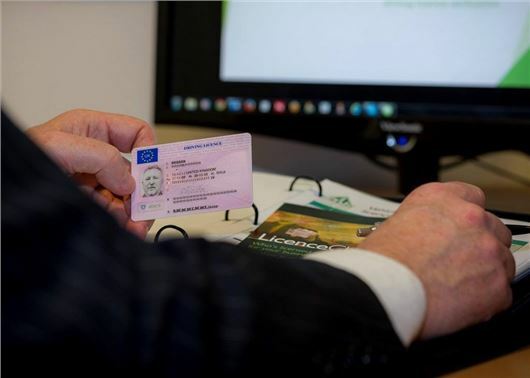 From the 8 June, the paper counterpart of the UK driving licence will be abolished as part of a Government move to cut red tape and save drivers money. In 2014, the DVLA replaced around 500,000 paper counterparts and charged drivers £20 for the privilege. However, from 8 June, penalty points and endorsements will be stored online and no longer displayed on either the paper or photocard licence. The paper counterpart will no longer have any legal status and the DVLA recommends that you destroy it. However, paper licences issued before the photocard was introduced in 1998 will remain valid and the changes will not apply in Northern Ireland, where drivers will still require the plastic photocard and paper counterpart. What's replacing the paper licence? An electronic system will replace the old paper licence. This means that neither the photocard driving licence nor the paper licence will provide an accurate account of any driving endorsements you may have. Instead, this information will be held electronically and be viewed online. Alternatively you can check the statue on the phone or by post. Will this change the way I hire a car? Yes. You will need to allow car hire firms to see your driving history online. To do this you will need to generate a share code in advance (it lasts 72 hours) by using the online service or calling the DVLA on 0300 083 0013. The DVLA says car rental companies (both in the UK and broad) have been given plenty of warning about the changes and should be prepared for the new system. It’s recommended that you check with the hire company beforehand and ask what they need to see when you hire a vehicle. Not all hire companies will need to see the code. However, if flying long distances, make sure you make a note of the DVLA number as using the internet abroad can sometimes be problematic. What about confirming my driving history to my employer? If you drive for a living and you’re asked to provide evidence of your driving record (entitlements and/or penalty points), you can do this online by accessing the Share Driving Licence service. As with car hire, you can generate a share code that will allow your employer to see your driving licence history. This code can be obtained online or over the phone. How will this impact the way the Police and courts record endorsements? Penalty points and endorsements will be recorded electronically. The information will also be shared with insurers so they can check licences. It's hoped this will cut down on fraud and false statements in regards to bans and points. What about test driving a new or used car? Dealers and traders will be expected to make all of the mandatory checks online or over the phone. The DVLA says all dealers and traders have been given plenty of notice about the new system and should be up to speed with the changes. If buying from a private vendor, you can simply pass on the share code and allow them to view your licence online or over the phone by calling the DVLA.